Obtaining an auto loan is vital for many consumers in the car buying process. Often, a bad credit auto loan is required, perhaps decreasing their ability to get the vehicle they need. In an effort to ease the bad credit auto loan process, Complete Auto Loans has released an article on the topic of cosigning. Specifically, the post covers three beneficial items that consumers can access by cosigning on a loan. The article explains the value of a cosigner: having a cosigner on bad credit auto loans can be the difference between driving off the lot in the vehicle of your dreams, and grabbing the bus home in a continuous vehicle-less nightmare. Lenders like to stake their auto loaning bets on the firm foundation of an excellent credit report. Put simply, a qualified cosigner can provide that foundation for them to make that decision. Lower interest rates and increased accountability are both benefits of cosigning, as described in detail by the post. By visiting Complete Auto Loans article, consumers are able to increase their auto loan knowledge and learn how to get the loan they need. 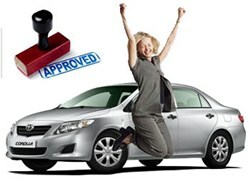 CAL provides bad credit auto loans online. Their unique finance platform can accept 100% of applicants, regardless of poor credit or even bankruptcy. By visiting http://www.completeautoloans.com, consumers are able to find the ideal loan for their personal financial situation, all through a quick and easy online process.